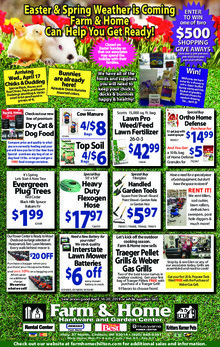 Farm & Home is your locally owned hardware store. We carry of full line of Hardware, Plumbing, Electrical, Tools & Paints products. We offer many different services like a Farm Department, Automotive, Pets, Daily Dollar, Rental Center, Penske Truck rentals & much more. We also have a U.S. Cellular outlet inside the store.